What are the Advantages of Asphalt Tennis Courts? The surface of the tennis court is a major determinant of how the tennis court performs. Thus, the choice of the surface becomes very important. 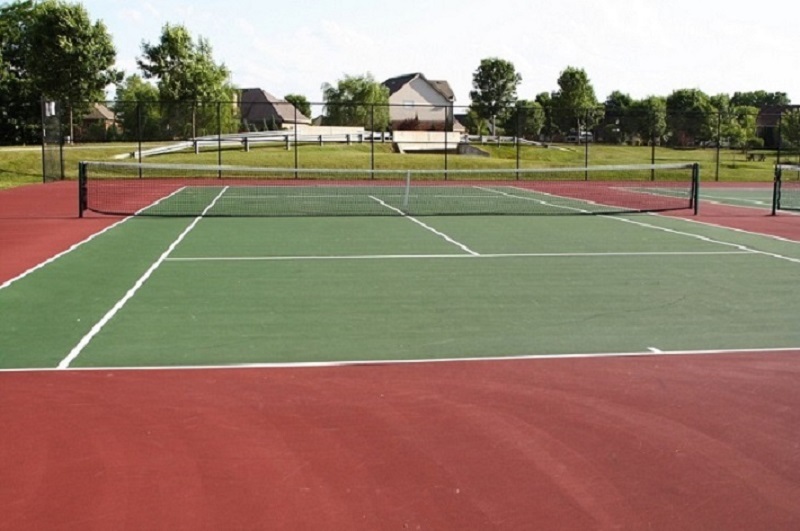 Tennis courts are divided into two parts such as “hard surface” and “soft surface”. Asphalt Tennis Courts are designed with different colors and people can design their school tennis courts, playground and personal tennis courts with these materials. But before you make the Asphalt Tennis Courts, you need to design the court with proper slopes for the drainage system and you must maintain the tennis court to prevent excessive cracking. Asphalt tennis court comes in the category of hard court. The coating is one of the major determinants which ensure that the longevity of tennis court remains same throughout the years. The coating is known to act as a protective layer which protects the tennis court and improves its appearance over time. The games which are played at hard tennis coat are known as “Fast Game” because the tennis ball bounces off quite fast at these grounds. If a hard coat is properly installed then they are assumed to be long lasting and much more durable in nature. Soft court as per the name suggests using soft materials in its surface construction. They are made of sand, clay, fast dry, grass and such materials. They are very commonly seen and are quite popular among the players. This is known as the “Soft Game Courts”. A soft court needs regular repair and maintenance but that is quite pocket-friendly when compared to the hard court. 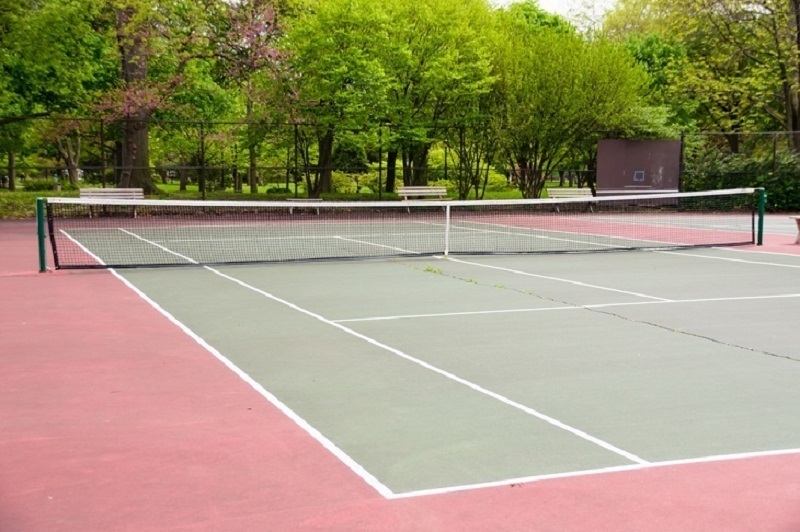 So you can choose any of these courts according to your needs and it is suggested to consult with your contractor to design the tennis courts with quality materials. How would you prepare your Asphalt Tennis Courts? If you want to prepare Asphalt Tennis Court then you need to design the surface with some basic process. In this case, you need to clean the surface and remove all dirt, dust and grease and oil from the court. You can use plenty of water and pressure cleaner to clean the surface. You need to identify the exciting cracks on the court and scrub them to clean the surface completely. Then you can use different kinds of Asphalt solutions or fillers such as asphalt acrylic fill, asphalt fill and patch binder to fill the gaps and cracks of your tennis court. In this stage, you need to mix the asphalt fillers with some cement, water and sand. Different types of fillers need separate materials for mixing. For example, if you use asphalt acrylic fill then you need to mix 10 gallon acrylic fill with 140 to 240 lbs silica sand and half gallon fine Portland sand. Similarly, you need to mix less amount of silica sand and higher amount of Portland cement for mixing asphalt patch binder. In this case, you can read the manuals or take helps from the professionals. Then you need to apply the prime coats, cushion coats and color coats on your tennis court. In this case, you can use the readymade asphalt prime coats and color coats for designing your tennis court. When you tennis court becomes dry, you can draw the lines on the court. Lastly, you need to do the weather lamination to protect your tennis court from the adverse effects of climatic changes. If you do not have any idea about Asphalt Tennis Courts, then it is better to hire a professional tennis court designer in this regard. There are several designers and contractors available in the market and they can easily design your tennis court according to your preferences.